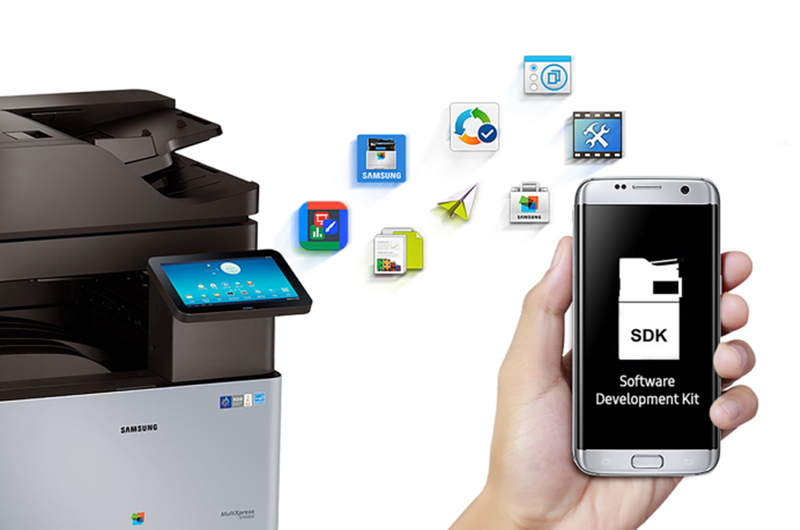 Samsung Printing Solutions just released V.1.5.0 to allow mobile phones to more easily print from printers with an easy to use interface (Smart UX Center Software Development Kit). Learn more about this new app kit in this article. KOREA- Samsung newsroom posted a blog about their old SDK Smart UX kit in 2015, but the open interface provides a ton of features and tools to better integrate printer functions into an interface that people can more readily used. The new software is going to allow multi-function printers (with card reader support) and other human interface devices the ability to authenticate and create a “story guideline” to develop and promote better resources and applications. This touchscreen control panel works for Samsung’s MFP printer, the MultiXpress, and ProXpress. It’s great to copy, scan, and print with applications and widgets. As well as expanding the Smart UX Center, documentation, libraries, and other sample applications have also been updated. Get the download here.